Roger Varian expects Mot Juste to improve for the run when she makes her reappearance in the Lanwades Stud Nell Gwyn Stakes at Newmarket. The American-bred filly really got her act together at the end of her juvenile campaign – winning her final two starts including victory over the Nell Gwyn course and distance in the Oh So Sharp Stakes six months ago. She renews rivalry with the runner-up, Angel’s Hideaway, and the third home, Sunday Star, on the opening day of the Craven meeting – and Varian is hoping his charge an earn herself a shot at the Qipco 1000 Guineas back at the Rowley Mile on May 5. 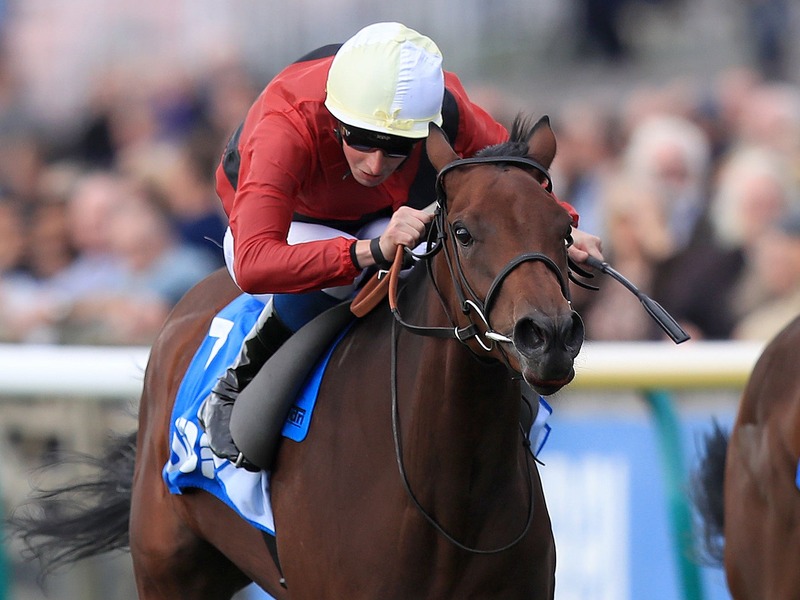 Varian said: “Mot Juste has wintered well and strengthened up considerably. The Nell Gwyn is the logical place to start her off. “I am pleased with the way she has been working but, although she is ready for a run, the Nell Gwyn will bring her on and we are treating it as a stepping stone to the rest of the season for her. “She has a fast ground action – the ground is quite important to her – so the dry forecast is in her favour. The Newmarket handler has an interesting second string to his bow in Qabala, who registered a course and distance win on her only previous start. “Qabala is a slightly different type. She’s only run once in her life, but she put up quite an impressive performance for a filly on her debut,” Varian added. “Conditions on Tuesday should suit her too and, since they have different owners, there is no reason why both of them shouldn’t run. “Qabala is a filly full of potential and I think that she is a Group-race performer of the future. Sunday Star was just a length behind Mot Juste in the Oh So Sharp and trainer Ed Walker is relishing the rematch. He said: “I’m really looking forward to seeing her run. It’s almost a renewal of the Oh So Sharp Stakes from last season and I wouldn’t be surprised if our filly turned the form around. “She hasn’t grown much over the winter, but she has strengthened up well and she’s been working great. The Mark Johnston-trained Main Edition won the Albany Stakes at Royal Ascot and the Sweet Solera on the July Course last season and sets the standard with a rating of 107. Charlie Johnston, assistant to his father, said: “She’s the highest rated filly in the race and on her Albany and Sweet Solera runs, she’s the one they all have to beat. “I don’t think she necessarily had to run here to book her place in the Guineas – I think her best form would warrant a run in the Guineas anyway. Charlie Appleby runs Orchid Star and Nashirah in the seven-furlong Group Three. The 11-strong field is completed by Richard Hannon’s Come On Leicester, Andrew Balding’s Look Around, the Paul Cole-trained Mercenary Rose and Mistress Of Love from Karl Burke’s yard. Burke said: “She’s a nice filly, but we’re very much throwing her in at the deep end. She’s got entries in the English and Irish Guineas, so it’s very much to find out where we are with her.